I joined Intelligentsia just over 18 months ago because I thought it had the best sourcing program in the business, and still some room for improvement. The idea that I might contribute to that process at a company with a pioneering Direct Trade program was too good to be true, but it wasn’t the only thing that attracted me. I always loved the company’s brand and its commitment to progressive architecture and design. I had the impression that the place was crawling with artists whose restless creativity found outlets in playfully designed posters and tee-shirts and paper cups and sleeves and just about any surface that could be printed on. That the company’s merch category was created just to channel the company’s creative energies. That it delighted in the chance to dazzle with the design of each new store. Nothing I have seen since I have been here has disabused me of any of the ideas I had when I rolled in. If anything, my experience as an insider has confirmed the impressions I had as an outsider. So over the past year or so, I have been developing an idea then working with some talented colleagues to create something beautiful at the intersection of these two abiding Intelli passions: sourcing amazing coffee from friends and driving progressive design. 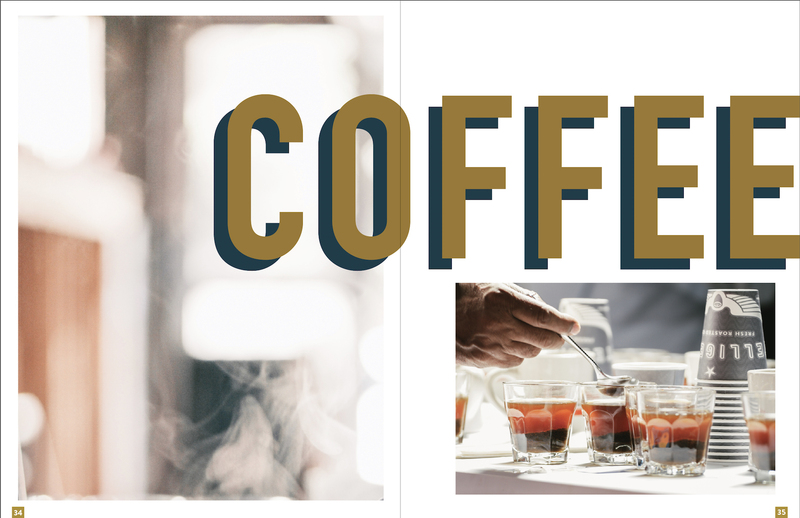 The result is Ad Lucem, our occasional journal of coffee illumination, whose inaugural issue is focused on the 2017 edition of the Extraordinary Coffee Workshop. ECW is our annual gathering of our Direct Trade partners from around the world, and I can’t think of any better way to launch a coffee sourcing magazine than with a full issue devoted to the single event that best embodies the spirit and aspiration of our Direct Trade program. 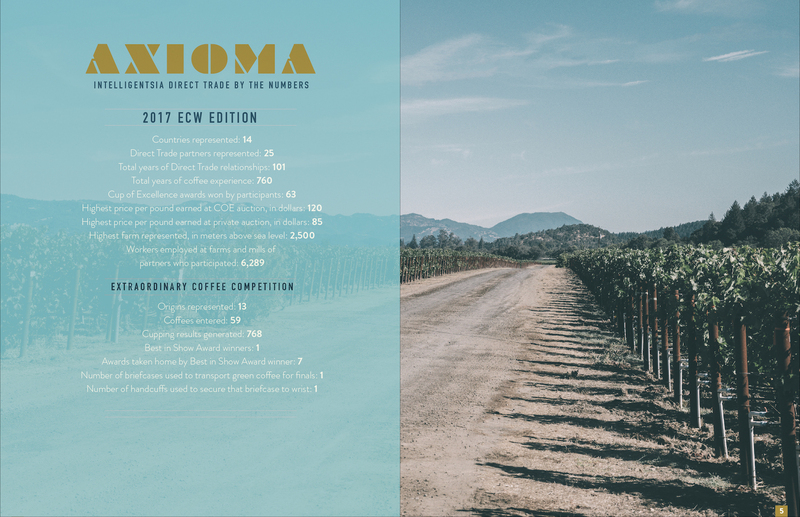 It tells the story of our signature sourcing program event in few words, many gorgeous photos and a handful of carefully curated data points that convey the essence of our ninth ECW, like the ones in the 2017 ECW Edition of Axioma below. There are precious few of these magazines in circulation, as most were reserved for our Direct Trade partners who were in attendance. Copies will be floating around our Coffeebars soon, however, so be sure to ask to flip through this inaugural issue. Meantime, have a look at the virtual copy here. And stay tuned for Ad Lucem No. 2, which will focus on the Southern Hemisphere coffees we sourced this year, featuring field photos and notes taken by our green coffee buyers during their sourcing trips, articles on the culture of coffee’s origins, original infographics, and always killer design. Ad Lucem No. 2 will be available for purchase and is scheduled for release in May.